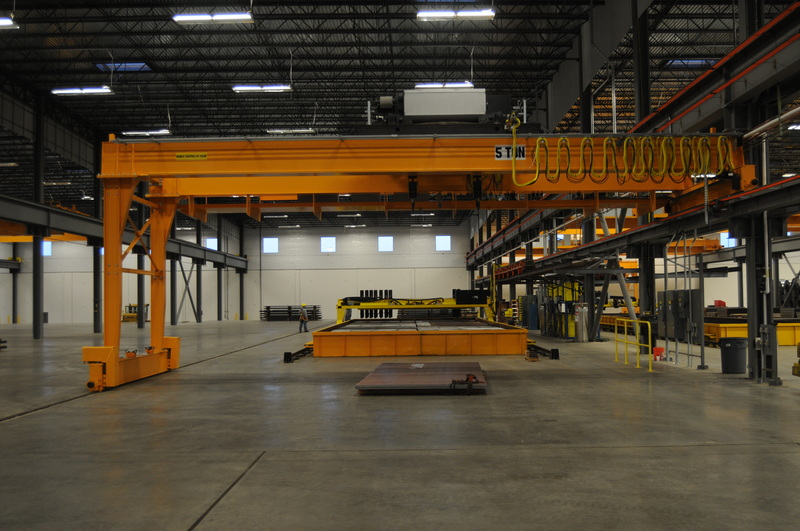 Gantry cranes can range from small spans and capacities up to large capacity and span double leg cranes. 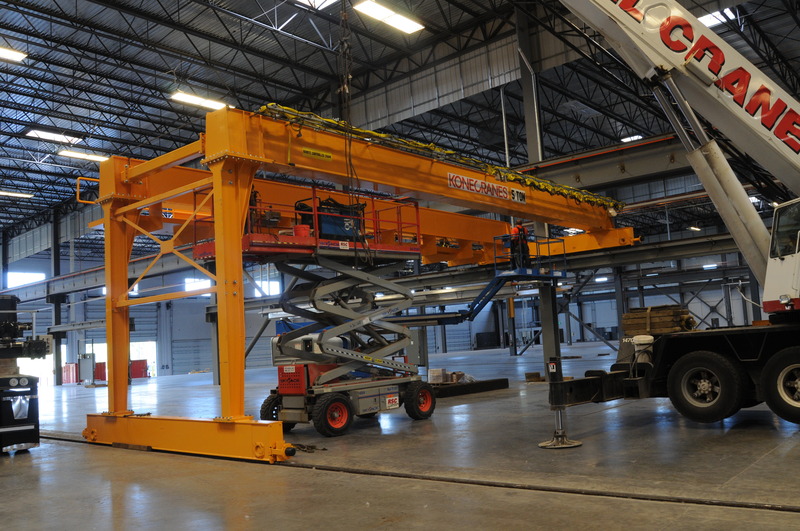 Smaller manual travel cranes offer the ability to move the crane around your facility to cover multiple workstations. Larger full powered gantry cranes run on fixed rails or runways and can be either single or double leg.